The movie introduced audiences to a completely new level of action/sci-fi Manga-influenced storytelling, while they also managed to exploit an entirely fresh technological CGI marvel called the “bullet time” effect. A Reboot, Remake, Sequel, Prequel? The Hollywood Reporter reveals that Warner Bros. studio is preparing a re-launch of the cult sci-fi movie, but it is still in an undisclosed form; meaning – it is still rather vague if the re-launch will be a remake, reboot, sequel, or prequel. What we do know is that Zak Penn (X2: X-Men United) is currently in talks for penning the screenplay, while Michael B. Jordan is being consider for the lead role. Get Comfy and Spend Your Evening Watching The Matrix! What might be seen as alarming, though, is that The Wachowskis are currently not linked to the re-launch of the Matrix franchise and it is still unclear whether Warner Bros. is planning to involve them in the project at all. However, the studio does need to have their approval for this Matrix resuscitation. 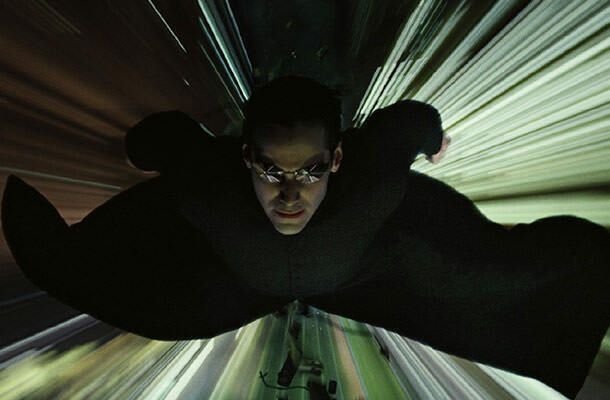 As far as the trilogy’s producer, Joel Silver, is concerned, he reportedly pitched the studio on revisiting The Matrix for a new film, and since Silver sold his interest in all his movies to WB back in 2012, his involvement is rather blurry at this point. It is also too early to talk about the cast. The 1999’s original starred Keanu Reeves, Laurence Fishburne, Carrie-Anne Moss and Hugo Weaving. The story followed Neo (Reeves) as “The One” who discovers that the world as we know it is a lie and that humankind is being used as batteries for a race of machines that had overtaken our planet. Let’s hope that the world in which The Matrix is being rebooted is also one huge and fat lie. Stay tuned.